Industry analysts Michael Pachter and Jesse Divnich can agree on one thing: The PS3's Slim redesign and its new slim price tag mean that Sony's console is headed for victory this holiday season. After month after month of decline in the industry, NPD's numbers for September - due out next week - are likely to finally be a spot of hope for gamers and game makers alike. 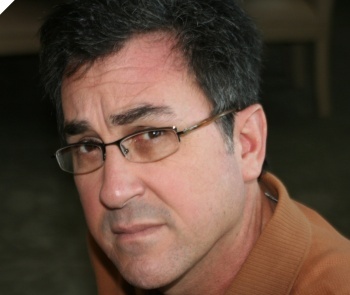 In anticipation of the NPD numbers, two analysts - Wedbush Morgan's ubiquitous Michael Pachter and EEDAR's slightly less ubiquitous Jesse Divnich - issued their predictions, and both reports had a few things in common. Both reports agree that the industry will be seeing growth, though the IndustryGamers article doesn't quite clarify whether the numbers mentioned are year-on-year increases (from last September) or monthly increases (from August). Either way, Divnich expects software salves of $715 million (16% increase), while Pachter is a bit more optimistic, listing his prediction of $750 million (21% increase). "We believe that the recent round of price cuts may benefit the PS3 the most in coming months, given that unit sales last year were only 1.5 million for the September - December 2008 period. The Xbox 360 has outsold the PS3 for the past 13 months, likely due to a higher perceived value proposition (the Xbox 360 "core" model was priced $100 lower than the PS3). We think that the PS3 will outsell the Xbox 360 in September, and may continue to do so for the rest of the year,"
While Pachter thinks that Microsoft has more room to go for a second price cut, he predicts that the holiday season will see a more feature-laden Xbox 360 (with 250GB hard drive like that seen in the Modern Warfare 2 bundle) introduced at $299 to try and increase the perceived value of the product compared to the competition. "Microsoft will cut price only if it begins to lose significant market share to Sony," predicted Pachter. The PS3 may sell well, but its games, on the other hand? That's another story altogether.